Where everyone part of making and supplying the goods we all eat and use is ethically employed. Where together it is known that we and our families can live and work in safe places without fear or humiliation, with trust and respect, anywhere in our world. Deep hope shared by Farjana and her daughter for their future. Nasma and others, very glad to earn a good wage with integrity. Providing importers with great design, quality and delivery of fair trade goods. Creating opportunities for artisans to work with integrity by bringing their skills and beautiful materials to people who care. Raising awareness of the deep and lasting impact fair trade has on individuals, in families and for entire communities. There is no beauty in the finest cloth if it brings hunger and unhappiness. Trusting relationships and professionalism are our lifeblood at Motif. These ensure the strong growth of your business as importers, the growth of steady livelihoods for our artisans and care for our environment at every step. Working together, our collections of accessories, home décor, and more fuel the passion and lifestyle of your customers, especially those who ‘get’ fair trade! You know your people better than we do and we listen very carefully to your feedback so that we all grow strong together. I'm proud of what I make. It's very good and people will be glad they bought it. British designer Jackie Corlett moved to Bangladesh in 1989. She designed export ready fabrics and products to ensure orders and a good income for the amazing artisans who made them. 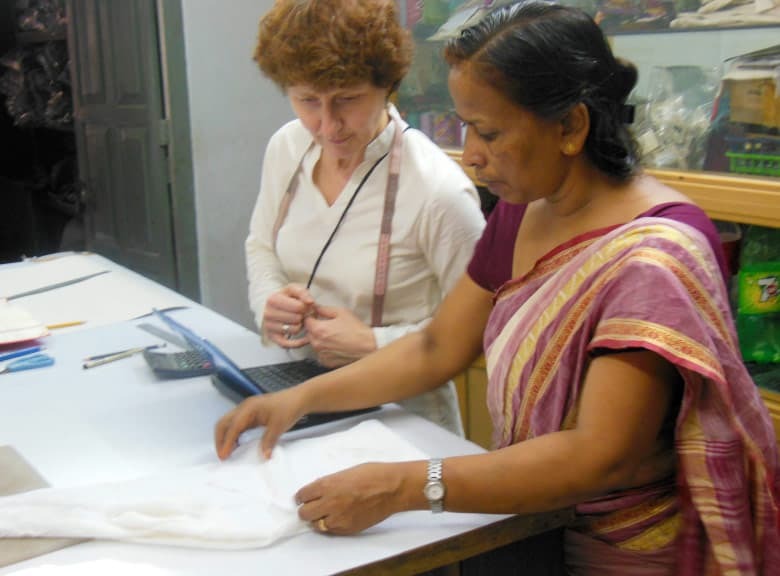 Together with Supervisor Jharna Barua, new ranges of handwoven home décor, embroidered bags and much more were created for top European Fair Trade enterprises. Early on, surrounded by shuttles clacking and weavers singing loud to keep rhythm, Jackie knew the fabrics being woven were keeping families healthy, kids educated and folk away from money lenders. From then on a passion to bring design and craft skills together for good was born and she was hooked on Fair Trade. In 1998 Jackie and Jharna together with 2 other local investors were excited to set up Motif as a Joint Venture Private Limited Company. 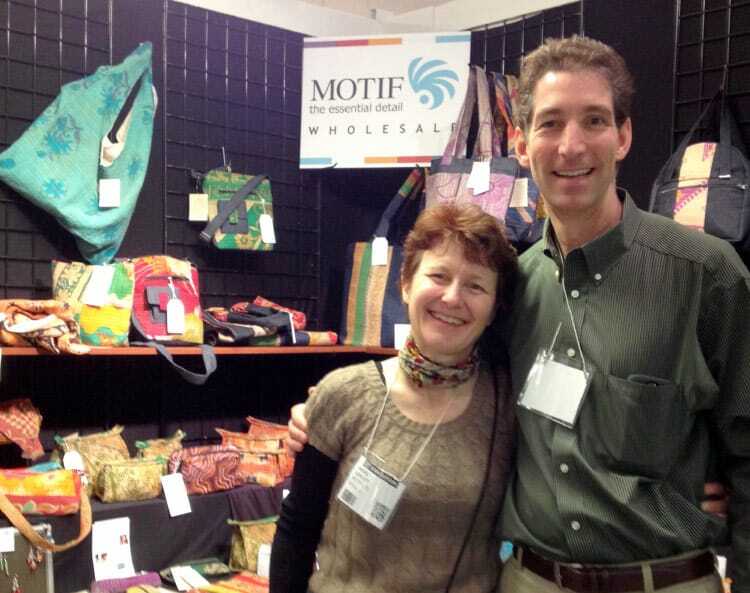 Motif started small and has grown with a wonderfully dedicated team, most of whom are still together today. “That’s why we feel like a family business!” says Jharna. Meet everyone here, even a few who’ve moved on having left their great mark on Motif. "We know that a company must self-sustain on Fair Trade principles for it to be 'truly successful' on all levels." Beautiful materials transformed into stylish, practical accessories, bags and more by the hands of skilled artisans in Bangladesh.